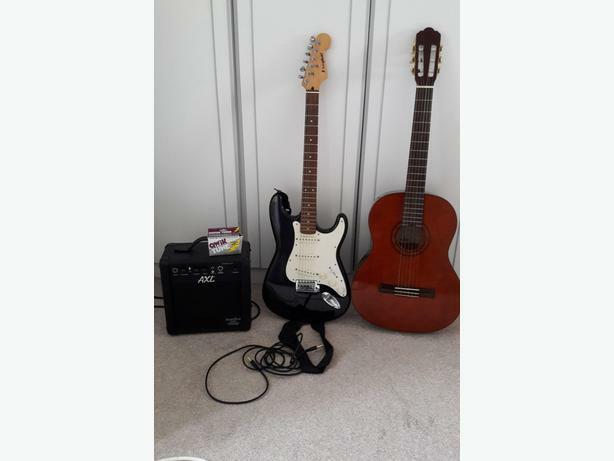 Westfield (look a like ) Fender stratocaster electric guitar and AXL amp. Plus Stagg 6 string acoustic with zipped cover bag. Includes leads & electronic Qwik tuner. All in great working condition from a smoke & pet free home. Collection only.